When we think about staying safe on a job site, the weather forecast may not be the first factor that comes to mind. However, winter conditions and cold weather present dangerous situations not only with slippery ice and snow, but also reduced mental alertness and manual dexterity. Staying informed of the possible changing conditions that you might encounter during the course of your workday will, no doubt, keep you safer and better protected. In addition to being uncomfortable, wet clothing will cause you to loose more body heat. You also face a greater risk from moisture seeping through layers. Once the clothing next to your skin becomes moist, it offers a path for an arc flash to travel. Use appropriate rain gear and have a change of FR wear available for emergencies. Workers who are exposed to electrical hazards should not wear synthetic materials that can melt. Eye protection in winter is for more than keeping debris or chemicals out of your eyes. Icy blasts from harsh winds can irritate eyes and cause decreased visibility. While working in hazardous environments, the use of face covers in addition to protective eye wear may be needed under certain conditions. Your body looses about 10 percent of your heat through your head. 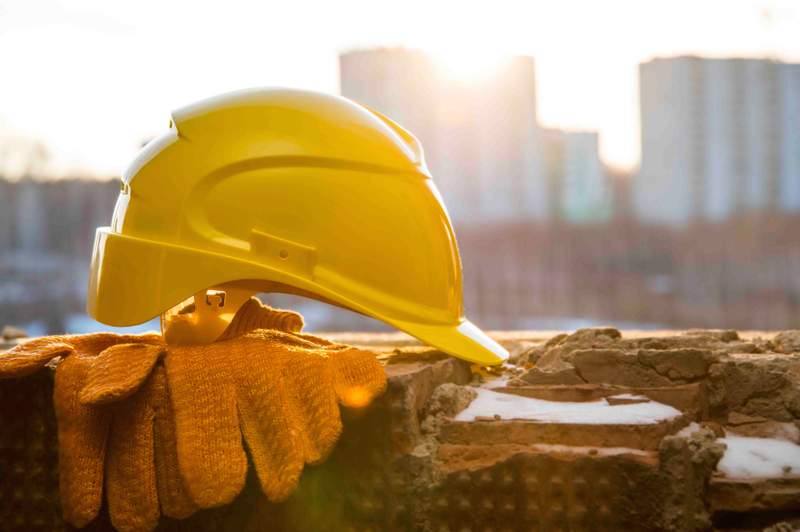 While it is important to keep your head warm, you must also be sure your hard hat is properly fit and that hats or liners do not cause slippage. Choose a hat or liner that covers the back of your neck as well as your head. Consider getting a slightly larger hard hat for winter wear to accommodate the necessary head coverings. Frostbite to your hands and feet can occur rapidly. You should consider additional liners for gloves and boots. These will provide you with extra warmth and you can change the liners if they become damp. If you are required to wear protective gloves, liners should be made of suitable material that will not melt in the incident of arc flash – such as Merino wool. During extremely cold weather, workers should take warming breaks at regular intervals. Access to warm beverages should be included, but caffeine should be avoided. Even if you can only take a break in a tent area, or the cab of your work truck, getting out of the cold and wind will allow your body to warm. Remember that high winds create a wind chill factor that reduces the working temperature to less than what a thermometer may show. General guidelines recommend 10 minutes of warming after two hours of work. After the second two hours, a half hour is recommended. Extreme conditions may require shorter work intervals. When your FR clothing becomes contaminated with oil, dirt or debris, you must clean it according to the manufacturer’s instructions. Allowing chemicals and oil to build up on your protective wear increases your risk of injury. You may think you are protected when in fact; oils and chemicals may ignite easily. Use gentle washing processes, including warm, not hot, water and mild detergent. Bleach is not recommended as it will tend to break down the resistance of the materials. Store your gear carefully as well. Crumpling dirty garments and leaving them for days will reduce the garment’s lifespan. Your FR PPE is designed to take care of you. For it to perform properly, you must take care of it. When you follow the use and care instructions, you can expect to get the full service life from your FR products. During winter, you may need to change garments frequently if you are working in snowy or muddy conditions. The most important factor in choosing appropriate PPE for the winter season is to select clothing that is not only suitable for the temperature in which you will be working, but is also functional for the work you will be performing and the physical exertion required. Always follow the legal requirements for your trade and consult relevant sections of NFPA codes and standards.